The investment landscape in Canada is an unusual one. It is dominated by a few very large players who essentially act as gatekeepers and are protected at the government level (which does have some pros if we go back to 2008). Some of the consequences though are that this has created an industry that is slow to change and less likely to adapt to new and inevitable trends (robo-technology, fee-for-service advisory), and created a lack of competition (just in the past 24 months we have seen many independent wealth managers be gobbled up by the banks) and has limited a lot of choice for the end financial customer. The most palpable outcome of this is that Canada remains as one of the highest-cost countries for investment funds and investment services. 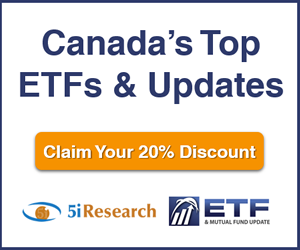 Where in Canada can you go to see if your portfolio is on the right track if you're a DIY investor or even when using an advisor? Who can you ask to understand if your advisor is investing your portfolio properly, based on your goals and risk parameters? How do you even know that you are getting services that are worth the fees being paid? There should be more than just two tiers - A DIY investor left in the 'wilderness' OR an investor left to pay an advisor 1% or more to manage all of their assets. Quite frankly, there is a large swath of 'middle asset level' Canadian investors that need help, but even advisors aren't interested in serving them from a business/profitability standpoint. Most advisors really only properly service their largest customers. Ask your current advisor to review your portfolio - Obviously they will say it is fine since they made it! Ask another advisor to review your portfolio - Obviously they will say it is bad or needs work, as they want your business! And to be clear, investment management is an odd business where two people could look at the same portfolio and have opposite opinions on whether it is good or bad, and both may be right (to a degree)! If you don't have an advisor and are asking them to review your portfolio, it is probably not fair unless you plan to give them your business, and from a resource perspective just isn't realistic as they aren't going to do a thorough in-depth analysis of your portfolio for free. Ask family and friends - This might be the most dangerous option. While these individuals are more than likely well-intentioned, in most cases they probably do not know much more than you do. Or even worse, they THINK they know more than you and others. Seek out financial education on one's own - There are great blogs and internet resources out there but knowing who is right, who is wrong and who has an agenda can be very difficult and time-consuming. Few (or no) services to help an individual understand the portfolio and how to invest at a fair cost. 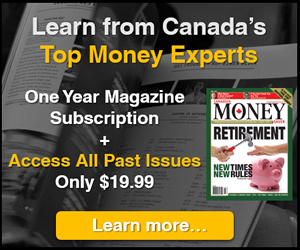 There are even fewer investor services available that take a Canadian specific approach, and yes, the nuances of a Canadian investor are far different from a US investor (issues of over-concentration in CDN indexes, dividend tax credits, tax-advantaged accounts, narrow investment landscape in Canada, etc.). With the lack of education out there and understanding of investing and fees, how does one even know if they are getting what they pay for? There is not much of an objective way to do this. There are many mutual fund dealers that charge high fees, incentivized by commissions that are essentially putting their investors in a basic 60/40 portfolio that you can get from Vanguard for next to nothing. But as an investor, how do you even know this and who are you supposed to listen to? In school we are taught quadratic equations (which barely anyone uses outside a classroom!) but not how to file our taxes, the power of compounding, or how to create a budget. We do not want to sound too much like conspiracy theorists here, but it is fair to assume that the lack of financial education ends up being of direct benefit to the institutions already entrenched in the industry, so there is little true support and action for financial literacy. When you sit across from your advisor at your meeting, how do you feel? More often than not, we hear stories where the clients feel anxious, uncomfortable and, for the lack of a better term, 'dumb'. This puts the client at an immediate disadvantage in serious conversations and creates an unequal power dynamic. The differences could well be warranted but it starts a conversation and puts some power back into your hands. For some things, it is OK to fully trust the professional you are doing business with, or to trust your own judgment. However, for arguably one of THE most important decisions you make that has implications in all areas of your life, it probably makes sense to have a second opinion, a bit of education on what you own and another tool to monitor and help you understand what your financial picture looks like. These issues are what Portfolio Analytics is addressing and solving for Canadian investors and we think it does a pretty good job at this. The tool gives you a solid sense of what type of investor you might be, and what that might look like in terms of your own portfolio construction. It then looks at your current portfolio and breaks down all of your holdings by asset class, geography, and sector. Importantly, it consolidates holdings across accounts as well as allocations within funds so you know exactly what you hold in terms of the underlying securities within a fund. 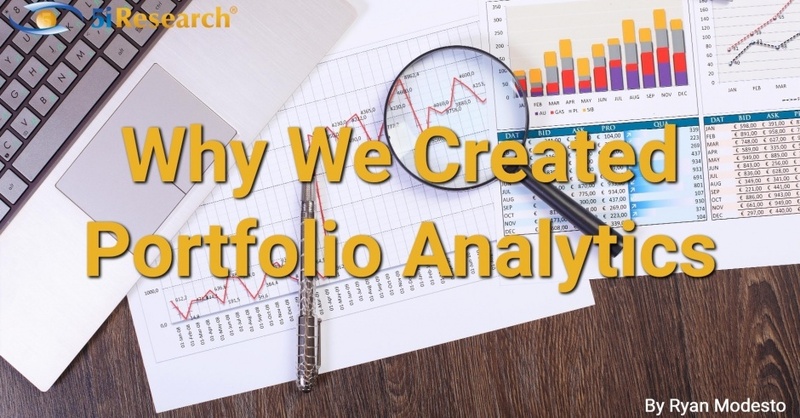 Finally, we know there was a need for this portfolio analytics service because we hear our members ask for something like this time and again. It is probably the most requested service from our members. One of the best decisions we have made and continue to make at 5i Research is to listen to our members' feedback and pain points and try to solve those problems. We can't do everything, obviously, but continue to strive to find ways to tilt the balance more in favour of investors and educate members on markets and investing as much as possible. Because of this, we also need to give a big thanks to our loyal membership at this point. If it was not for your continued loyalty, feedback, and support, this service (one we think is greatly needed in Canada), would not exist. There will be many different ways members will utilize Portfolio Analytics. We are not trying to be or replace your advisor. We do not want to manage your assets with this tool. We are not looking for additional fees above the annual fee for the service itself. 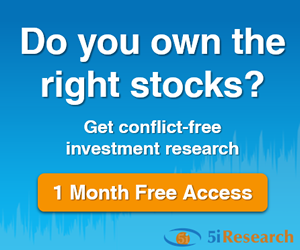 We simply want to give you an unbiased opinion on a portfolio, offer analysis that is hard to find anywhere else, save you time and costs, and highlight some pros, cons, and risks in your portfolio that you probably do not even know exist. Get started with Portfolio Analytics here. Thanks for the questions and interest everyone. can you please keep questions specific about the service to the Q&A section. It is easier for us to track and manage that way! Peter, Ryan and 5i staff, I love your new Portfolio Analytics service, I wish this was available 25 to 30 years ago when I lost a lot of money with bad financial advice, but since I joined 5i years ago my portfolio's have been doing quiet well and with this new service I will be doing a lot better. Thanks for your great service and advice. I am joining up right now. HI Kim, yes, it also looks at mutual funds and can determine holdings within the fund. So say you have a mutual fund that has 50% cash, the system will break that down and add that amount of cash to your 'cash asset class' to give a true view of what you really hold. On the membership, for current members, it will net out by time first. So in your case, it will just decrease your expiry by the appropriate amount. Then when the new expiry date hits, it will renew. I've had a financial advisor since 1986 (and I think we've done fairly well). However it would be nice to "verify". I'm assuming this portfolio check would include mutual fund investments in addition to individual stocks. Also, how would it work (cost wise) for me since I just enrolled in 5i Research? It would cost 350+ which would include a years membership .... but my membership ends in 2020. So when would my membership end?